I had been planning to share a beet juice breakfast smoothie recipe this week, but, Whole Foods did not have any red beets when I went shopping over the weekend (big run on beets for Super Bowl parties?!). They did, however, have golden beets. Alas, plans changed, and I present you with a spicy juice recipe that you won’t believe has beets in it. 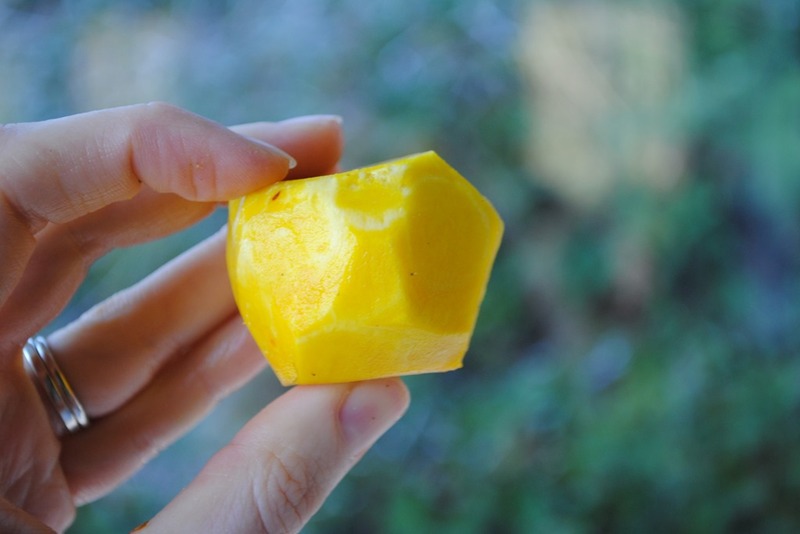 It’s a win win, and I get to share with you the wonder of golden beets! 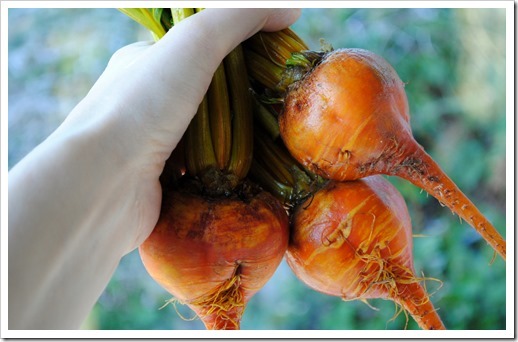 Golden beets are milder, in my opinion, than their beet-faced brethren, and make a nice intro to beets for folks that are against them. In fact, back before I embraced beets, a co-worker gave me some golden beets she’d grown in her garden as a way to help sway my feelings. For what it’s worth, it didn’t work…your healthy eating palate develops over time, and if you’re not ready, you’re not ready! And, once passed through a juicer with some other goodies, looks like this. Beet juice? What beet juice?! 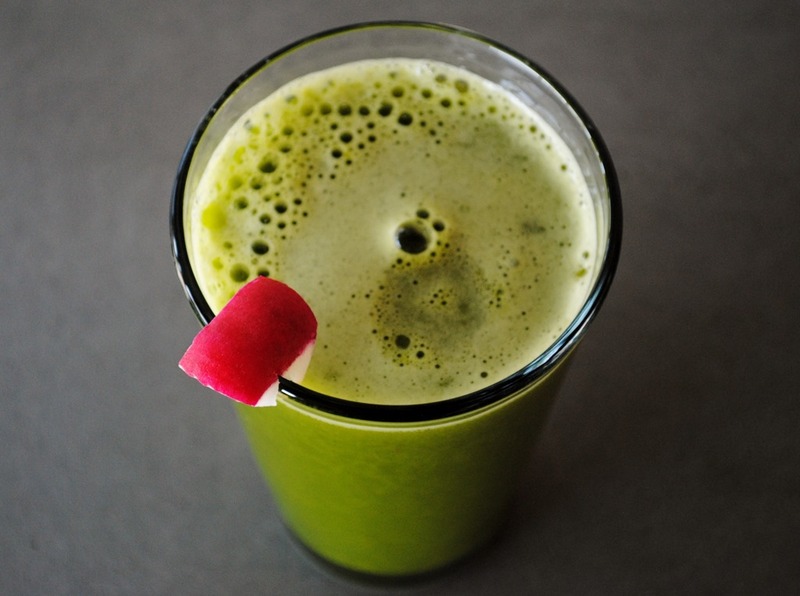 If you want to get crazy, make this juice, and then use it as all or part of the liquid in your morning smoothie. Talk about a great start to your day! 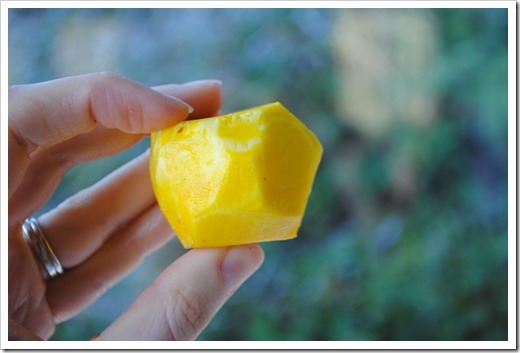 Add all ingredients except lemon to your juicer in the order listed, then, squeeze in lemon juice after the juice is produced. 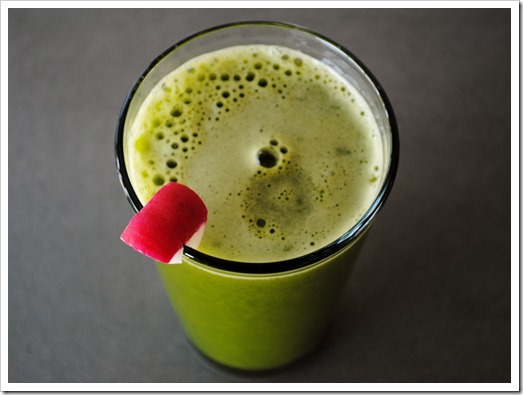 If you don’t have a juicer and want to make this in your high-speed blender, add all ingredients to your blender jar, add about 12-16 ounces of filtered water, blend on high (“3” for Ninja) for about a minute, and then strain through a mesh strainer, nut milk bag, or other fine-gauge strainer.